I’ve always loved color. And when colored jeans resurfaced after being a popular staple piece in many wardrobes of the 80’s and 90’s, I was on the hunt for the pefect color to rock. I was back home in North Carolina for my birthday in September and randomly walked into Ashley Stewart. I used to wear their jeans a lot, but since Forever 21 Plus came along, I made them my go-to for jeans. I bee-lined it to the clearance rack and saw a bright lime leg sticking out at me. I snatched up the jeans and almost squealed when they were my size. They were marked as $15, but I received 50% off, happy birthday to me! I paired the jeans with a teal cardigan I thrifted at Goodwill for $2.99. It’s such an easy, breezy casual look. I threw on my gold cut-out Oxfords from Barefoot Tess and completed the look with lime green earrings from a random jewelry store in the mall in my hometown. All the jewelry in the store was $2 and this was one of the only pieces I liked. It was like being in a candy store with a toothache. LOL! 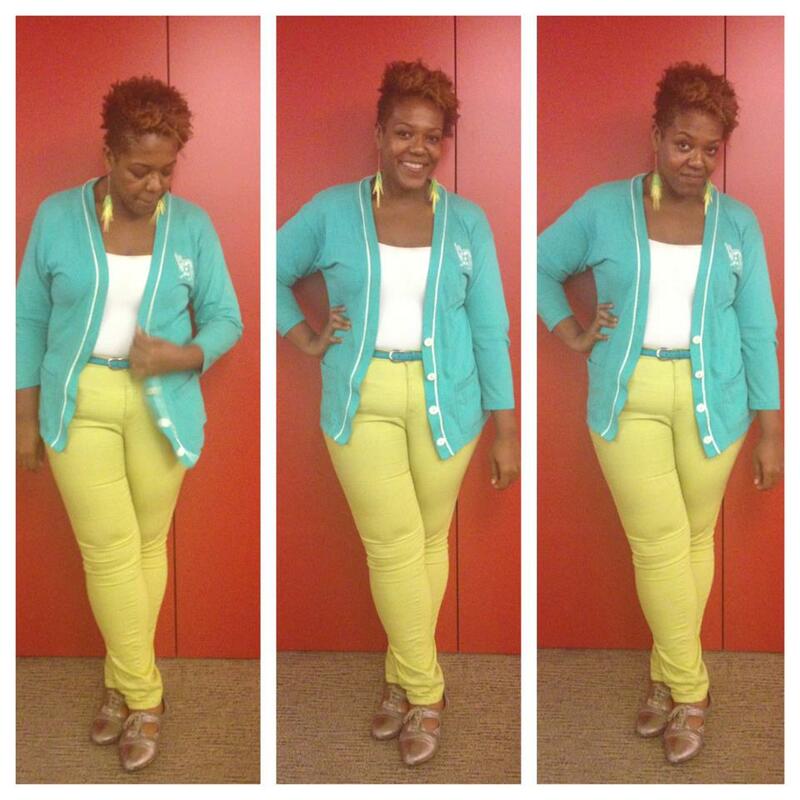 How do you rock your colored jeans?